Miss Meaghan began her stage training at a very early age. With over 28 years experience in dance and theatre, she has studied a number of disciplines including ballet, pointe, lyrical/contemporary, jazz, hip hop, tap, acting, directing, stage management, and musical theatre. Miss Meaghan attended Ball State University on a full-ride scholarship where she pursued a “directing” major with a “dance” minor. During that time, she was fortunate to study under renowned choreographers such as Dave Scott, Wade Robson, and Tyce Diorio. 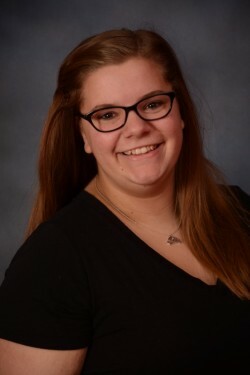 Some of her favorite experiences include dancing for the Presbytery USA National Convention in Lafayette, performing the role of Penny Sycamore in You Can’t Take It with You, and writing/directing Aesop Tells a Tale at the Muncie Children’s Museum. Miss Meaghan began teaching in 2002 and has since learned that teaching is an education in itself. She takes pride in her student development and looks forward to watching each and every one exceed their own expectations. 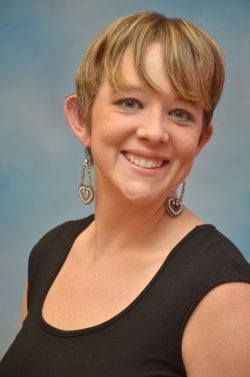 During the past 12 years, Miss Meaghan has choreographed show pieces for local choral/theatrical performances, as well as competitions where she has been awarded top honors. 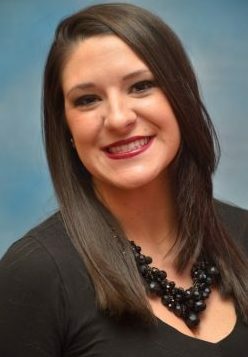 Miss Meaghan places the emphasis on student development both in and out of the dance room. 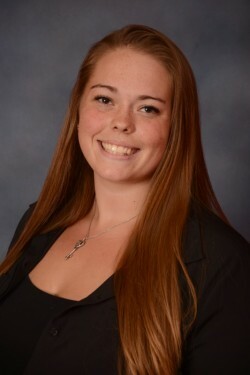 She is currently furthering her education at IUPUI where she is proud to have been inducted into the Golden Key Collegiate Honor Society as well as the National Society of Leadership and Success. Miss Meaghan is thrilled to be taking on her new role at Premier and hopes to watch her dancers grown as Artistic, Imaginative, and Confident dancers. Miss Brianna discovered her love of dance at the young age of 3. She has had extensive training in ballet, pointe, modern, jazz, tap, and tumbling. In 2003, Brianna began helping out in the classrooms and was able to share her love of dance by teaching. She has taught ballet, tap, jazz, and combo classes and has loved working with all of her students. In 2004, Brianna began her formal training in ballet and fell in love with it. She excelled and became a member of a junior ballet company while in high school and was asked to join Ballet Quad Cities as an apprentice upon graduating. Brianna danced in a number of productions including The Nutcracker, Sleeping Beauty, Cinderella, The Nightingale, and Coppelia. 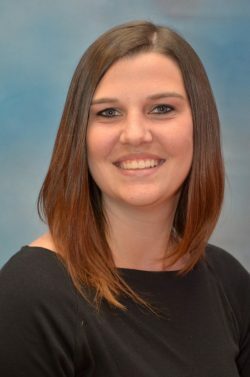 Brianna earned her Bachelor of Social Work from IUPUI in 2012 and is currently working toward a Master’s degree in Applied Behavior Analysis through Ball State University. This education has taught Brianna many different skills that she utilizes in her classroom in order to help each student reach their full potential. Brianna has been a part of the Premier Academy family since the spring of 2010 and is excited to introduce everyone to a new member as she welcomes her first child this year! Miss Carly has been dancing since age 3 and has had extensive dance training in ballet, hip hop, tap, jazz, modern/lyrical, and musical theatre. She has won many scholarships and awards and has danced under the instruction of many nationally renowned choreographers such as Wade Robson, Mia Michaels, and a variety of others. She has danced in The Nutcracker at the Murat Theatre, performed in Oliver as part of the Hendricks Civic Theatre, and danced at Radio City Music Hall in NYC as part of a Jump scholarship. Throughout her many years of dance, Carly has had the opportunity to dance around the country in many other venues. Carly has worked as a paid dancer for the WNBA Fever Inferno Hip Hop Dance Team for three years. Carly graduated from IUPUI’s Herron School of Art and Design, with a degree in Visual Communication Design. 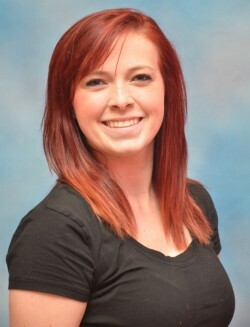 She would like to continue to dance and teach so that she can “pay forward” her love of dance and bring her knowledge and experience to others who also enjoy expressing themselves through dance. Carly has been teaching at Premier Academy for four years. She has won several choreography awards and contributed to many special awards earned by Premier throughout her time there. As a teacher, she feels her job is to INSPIRE, to give dancers the tools they need to be successful at whatever level of dance they wish to achieve, to push dancers to their limits with discipline, fun, and most importantly, LOVE! Whether it’s a dancer aspiring to be a professional or a dancer who comes once a week, each on has his or her own personal goals and ambitions. As a dance teacher, she wants to take the time to teach and share her knowledge and love of dance to young dancers on their way up. Whitney has been dancing since the age of 10 and has had extensive training in ballet, jazz, modern, lyrical, contemporary, and musical theatre. She has won many soloist awards at both the regional and national level. Whitney was an active member of her high school’s dance team, winning many regional and state titles with them. She is thankful to have had the opportunity to work with many nationally renowned choreographers as well as dance in many different parts of the country. Whitney is currently attending IUPUI as a nursing student. Outside of school and dance, Whitney enjoys spending time with her family and friends. Whitney has been teaching at Premier since January 2014 and is excited to share her love of dance with her students and watch her dancers grow! Kayla became a proud member of Premier Academy in January of 2015. She has been a dancer for almost seventeen years and began teaching when she was 16. For six months last year, Kayla performed as a dancer in Virginia as part of Busch Garden’s Sesame Show. The opportunity in Virginia, expanded her dance background and inspired her to want to add a dance minor in college. Kayla was recently admitted to the IUPUI Pre-Nursing Program. In her spare time, she loves spending time with her dog, Choco. Kayla would like to give a special thanks to Whitney Blakey for introducing her to the phenomenal dancer, faculty, and parents ad Premier Academy. 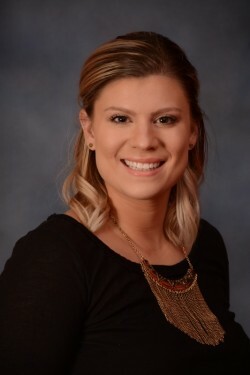 Haley graduated from Plainfield High School in the spring of 2015 and is currently working towards her degree in advertising and public relations. She has been with Premier Academy since 2011. Haley enjoys her job at the front desk of Premier as well as teaching our up and coming dancers in the creative movement class. Most importantly, Haley loves her role as “big Sister” to all the competition team and wishes them a great season! Amy began her training at the age of 3 studying tap, ballet, jazz, and character. She received her training through Jeanne’s School of Dance in Chandler, AZ and Jordan College Academy of Dance at Butler University in Indianapolis, IN. While in Arizona, she was a member of the preprofessional company Ballet Etudes. She also spent four summers attending American Ballet Theatre and Boston Ballet’s summer programs. Amy has been fortunate enough to be a working professional dancer since the age of 17. She spent five wonderful holiday seasons in her dream job as a Rockette in the Radio City Christmas Spectacular. In 2013 she joined the National Tour of Spamalot as a member of the ensemble. Other credits include: Jubilee! Las Vegas, Superbowl 2012 featuring Madonna. Regional credits: Cabaret, Cats, Chicago, Dreamgirls, The Addams Family, South Pacific, Sister Act and Ragtime. Amy has worked extensively with the Indianapolis Symphony Orchestra including Yuletide Celebration, Pops Goes Vegas, On Broadway with Kander and Ebb, and concert versions of Anything Goes, Guys and Dolls and Hello Dolly. Amy is happy to be sharing her knowledge of dance with the awesome students at Premier Academy. Marie Kuhns received her BFA from the University of Oklahoma in modern dance performance under the direction and guidance of Austin Hartel, while performing with Contemporary Dance Oklahoma. She grew up in Silver City, New Mexico, and trained at the Conservatory of Dance along with New Mexico School for the Arts in Santa Fe. She has had the opportunity of working with world-renowned choreographers such as Jessica Lang, Carla Maxwell, Kevin Iega Jeff, and Raimondo Rebeck. She is currently a trainee with Dance Kaleidoscope. She enjoys teaching dance and spreading the love of performing arts to different communities. She is forever grateful for the constant loving support of her friends and family. Miss Hillary is excited to join Premier Academy and return to her love of dance as a teacher for creative movement, pre combo, and combo students. She began dancing at the age of 4 in Fort Wayne and has over 15 years of training in tap, ballet, jazz, and lyrical. During her dance education, Miss Hillary competed at several local, regional, and national competitions while also assisting in the dance classroom with younger students. Miss Hillary graduated from Ball State University in 2012 with degrees in nursing and Spanish. She currently works as a registered nurse in Indianapolis and lives in Plainfield with her husband, Adam and new baby boy, Luke. Miss Hillary is very grateful to Premier Academy for allowing her to become part of the family and pass on her passion of dance to the next generation. Her patient and loving teaching style has touched the hearts and little feet of Premier’s youngest dancers.